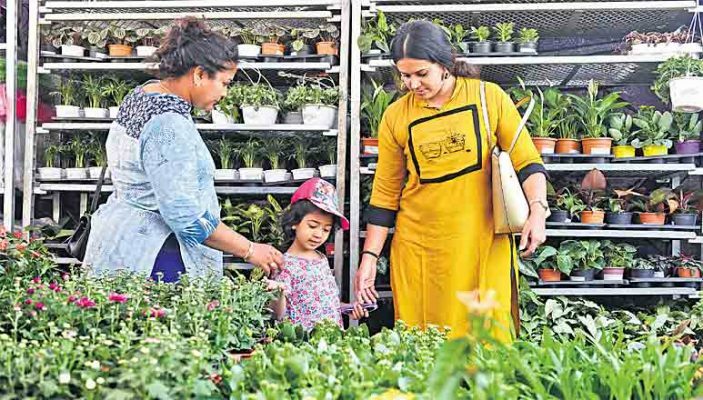 Around 80 stalls comprising nurseries from Bengaluru, Pune, Kalimpong, Kadiam (AP), Hyderabad and other parts of the country form part of the five-day show, which will conclude on January 21. Visitors at the 6th All India Horticulture & Agriculture show at People’s Plaza, Necklace Road in Hyderabad on Thursday. (Below) The bonsai plants which are priced between Rs 150 and Rs 1.70 lakh — Photo: Surya Sridhar. 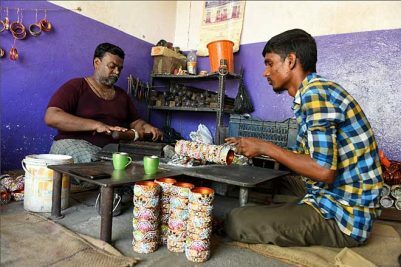 Hyderabad: A couple of days after the city bid adieu to the Kite and Sweet festival coinciding with Sankranti festivities, here is another event that is drawing huge crowds. Showcasing different gardening methods, a host of plant collection from across the country and latest technologies and innovations in agriculture, the 6th All India Horticulture and Agriculture show and Grand Nursery Mela took off at People’s Plaza, Necklace Road, on Thursday. According to the organisers, the objective of the show is to create avenues for nurseries, popularise different species of plant material and bring farmers and suppliers together under one roof. The show is open for all from 9 am to 9 pm. This apart, it would help in providing a platform for those looking to set up home garden, terrace garden, vertical garden, kitchen garden and also to spur interest in ornamental gardening and spread knowledge about garden accessories, material and irrigation systems. Other attractions include flower plants, indoor, outdoor, cactus, succulent, medicinal plants, orchids, bonsai, vegetable plants and various bulbs and seeds. Among all, the bonsai plants, priced between Rs 150 and Rs 1.70 lakh, is turning out to be a major draw at the event. Varieties of indoor and outdoor plants ranging from Rs 50 to Rs 2,000 have been put up at the show. Khalid Ahmed, the organiser, said following the success of horticulture exhibition during the last five editions, this year too the show has latest technologies and innovations in agriculture and horticulture. “In the fifth edition, we had arranged 70 stalls and this year it’s 80. There was a footfall of 70,000 in the last edition and this time we are expecting at least one lakh visitors,” he added.